29 Grams of Gold in 2 Days! On 3 different hunting excursions. 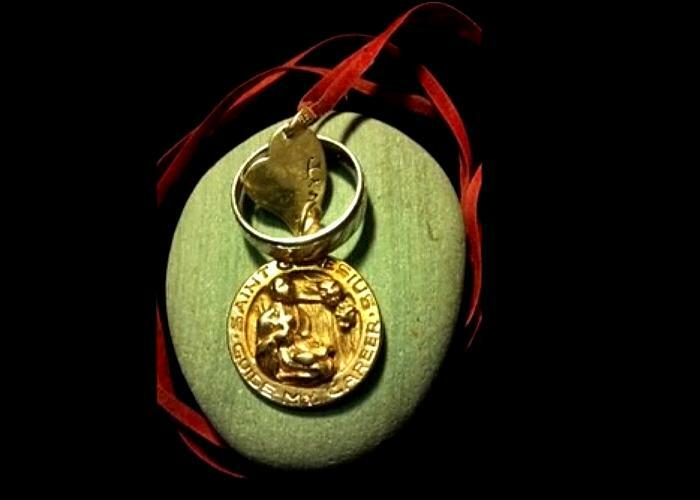 The first one I came away with a 5.7 gram 14k gold ring. The next day with my buddy I hit pay dirt. 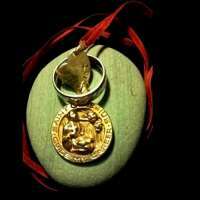 A 14k gold 10.8 gram medallion, a 14k gold 6.5 gram ring and a 14k gold 2.2 gram charm. My buddy wasn't finding any gold so when we were about to continue I told him to go first ahead of me where we stopped. Not 2 minutes later he tells me he found a ring. So I walk over to him in the water and he flaunts an 18k gold ring mixed with platinum. My jaw dropped! I looked over to my landmark where I stopped previously and it was just feet beyond it. But I was glad he got some gold. So later that afternoon I hit a different beach and was chased out by a thunderstorm but managed to find another 14k gold ring at 3.8 grams. Based on that day's gold market value I came away with around $926 of gold! This is clearly my best ever. The Excalibur II cannot be touched. Simply the best.